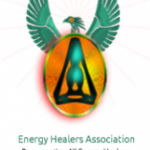 The Energy Healers Mandate from the community, the purpose for which this Organisation was founded by the founders and will continue onwards and upwards for the greater good, is to promote the use and education of Energy healing modalities to provide the highest good & world class standards that is uniform in the way it is applied to ensure that the quality is the best possible no matter what your income level is. A Charity at heart that loves people and wants to provide a respectful helping hand, a goal that includes empowers people, protects the vulnerable and uplifts the poor and has a focus on the ruralitarians/agrarians who need to be freed from dis-empowering situations. Part of our ethos is to help our members provide the very best QoS and Care possible and to protect the public where possible from “charlatans and quacks” & by providing the worlds best educational standards and norms for the modalities who have chosen us to represent them. 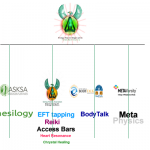 Our Recognised Quality Association Members stand for the highest good as the Organisations who are listed here have signed the codes & ethics and each of the practitioners that are listed on the pages listed below for each RQA will have signed the same codes and ethics we require before the practitioner number is issued and certificate issued with our security measures in place to protect the public from quackery. Each Organisations certificate of membership listed below, please click on the link to RAQ membership to go to that page to learn more about what our member Organisations offer.